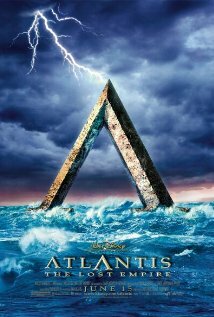 Atlantis is a w ondrous mythical place that many people have used in various different movies and stories. The Disney version Atlantis: The Lost Empire is a fun as well as exciting version that centers on a young man named Milo. He is a researcher that follows an expedition to find the lost city. Not everything seems to go the way that he would have liked though. There are dangers around every corner along with plots that are being created in the shadows. What will become of the found world that was once lost? You will just have to watch to find out. To learn more, go to http://www.imdb.com/title/tt0230011/. This film receives a five out of five popcorns rating.